There is a question that comes up quite often, maybe asked by people who don't realise that Phuket has moved on since the 1970's. 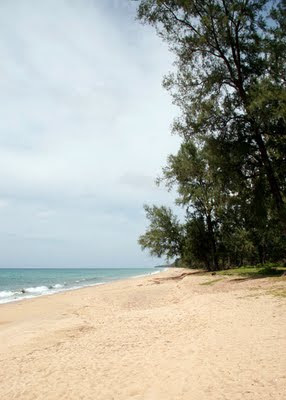 "Where can I find a beach hut or little bungalow right by the beach in Phuket?". Ah, well, I am sorry to say that for the most part, beachfront land in Phuket is now much too valuable to allow such cheap accommodation to exist. On the main beaches in Phuket like Patong, Karon or Kata, no chance of finding that kind of accommodation. In fact I was not sure there could be anything like it in Phuket, but was recently in contact (via Facebook) with Mal, owner of the Seaside Cottages which is found on Mai Khao Beach, the very northernmost beach in Phuket, north of the airport. Mai Khao Beach stretches for about 10km from the airport right up to the northern tip of the island near Sarasin bridge. That's a lot of beach.. and so far there is not TOO much development on Mai Khao. 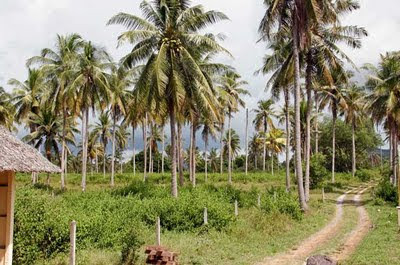 OK, you have the Marriott and Sala Phuket and a few other things but this area of Phuket remains quite rural. The Seaside Cottages has been open for a couple of years. 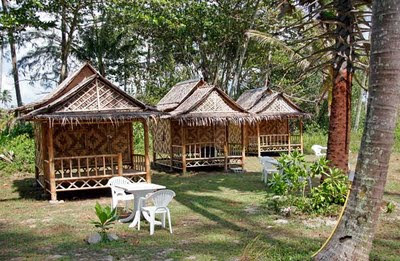 They offer simple accommodation in bamboo huts, slightly more rugged wooden huts and a couple of fancier concrete huts. No aircon, no cable TV. Little huts right by the beach. There is also a restaurant, but otherwise, just nature. 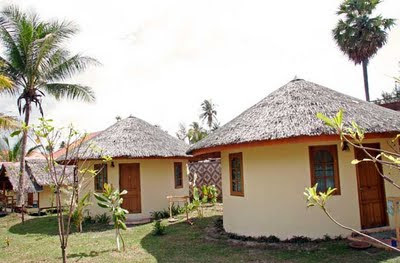 The huts are set back a bit from the beach - they found that if the rooms were too close it was not good in low season when wind blows in across the sea. They closed up last low season but might try to stay open this time. Mal told me they are pretty fully booked for the next month. They are listed on Tripadvisor, which does seem to help and also on Hostelworld. 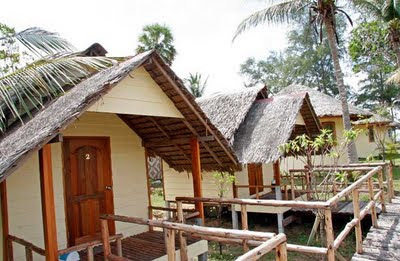 The prices start at 500 Baht/night for the little bamboo huts up to 2,000 Baht for the concrete huts. If you want it quiet and simple, good choice. If you want a few days doing absolutely nothing, sit on the beach, lounge in a hammock, it's for you. The restaurant is not super cheap, and it would be a bit of a hike to find anywhere else to eat, though they can arrange bike rentals for you, and when I was there the owner gave some customers a free ride out to the main road to catch the bus. It's a small and friendly place and I am happy to have found a place like this in Phuket that I can recommend. Oh and if you have a tent they will let you pitch it on the grounds too for about 200 Baht a night. Oh, one drawback, at least for now.. there is a resort being built next door. You can't see too much construction from the front, but there is bound to be some noise. The other drawback might be getting bored with having miles of beach all to yourself. Anyone looking for parties and crowds, look again! Mai Khao Beach will surely get more developed in years to come, but for now, this part of Phuket is still nice and quiet.